The Piggott School is a Church of England academy secondary school in Wargrave with sport at its core. It has sports clubs for football for boys and for girls, dodgeball, rowing, badminton, cross country, rugby, netball, athletics, table tennis, dance, cricket, trampolining and fitness. We will be based in the Sixth Form Centre for pre and post-activities, and lunch. Children will have access to table tennis, air hockey, pool and more. 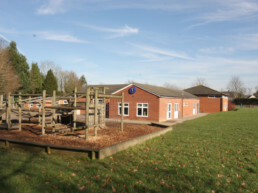 St. Piran’s is an independent co-educational day school in Maidenhead. Building on 200 years of tradition and the ethos of a family, Christian school, they provide an excellent school education for children from ‘rising 3’ to 11 years of age. 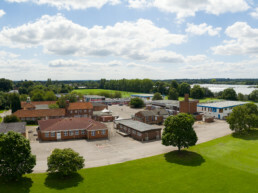 It is a school with sport and excellent sporting facilities at its heart. Fixtures are an essential part of their sports department, and it is their aim to get every boy and girl to play in at least one competitive fixture per term. 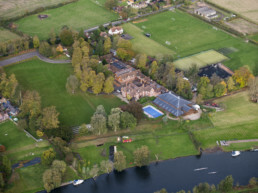 Moulsford is a thriving independent Prep School of 360 boys aged 4 – 13 years, set in tranquil and picturesque grounds on the banks of the River Thames surrounded by the rolling hills of South Oxfordshire. As a school and as teachers, their goal is to engage, enthuse and inspire boys. From maths to music, reading to rugby, and chemistry to kayaking, the school aims high and encourages boys to ‘go for it’ and give their best in all that they do. Sport is a vital part of life at Moulsford, and whilst they do believe it is important to play to win, the school regard the taking part – the teamwork, learning to win and lose, the development of self-esteem and social skills, the healthy exercise, as well as the fun – as equally valuable. 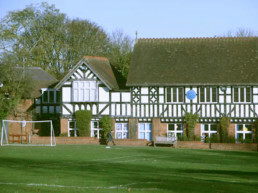 Sonning is a co-ed Primary School with an excellent reputation and strong links within the community. Their aim is to provide a supportive, stimulating and secure environment in which children can thrive. Naturally, they want their children to achieve the best possible academic outcomes, but also understand the importance of providing a broad range of opportunities in sport and the arts. Their curriculum aims to nurture children and promote creativity, curiosity, independence and confidence.